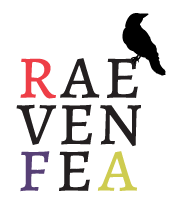 At the start of the year, I made a resolution to address all of my works in progress in one way or another. 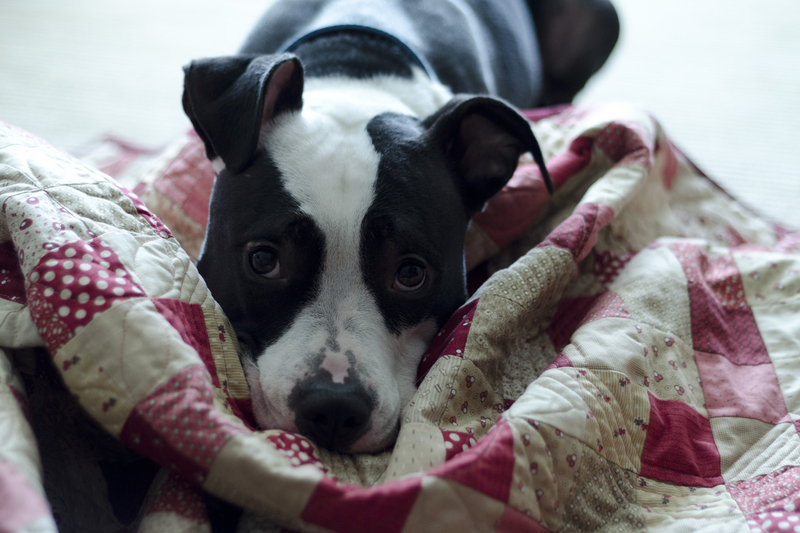 I cheated in a few ways (mostly unintentionally), as I only listed quilt projects and accidentally left off one entire quilt. 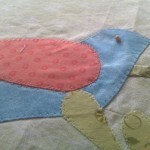 Then, I spent most of the spring not sewing anything at all. I haven’t made as much of a dent as I’d hoped, considering it’s the start of September (even my mid-year progress report is behind), but I have whittled down the list. 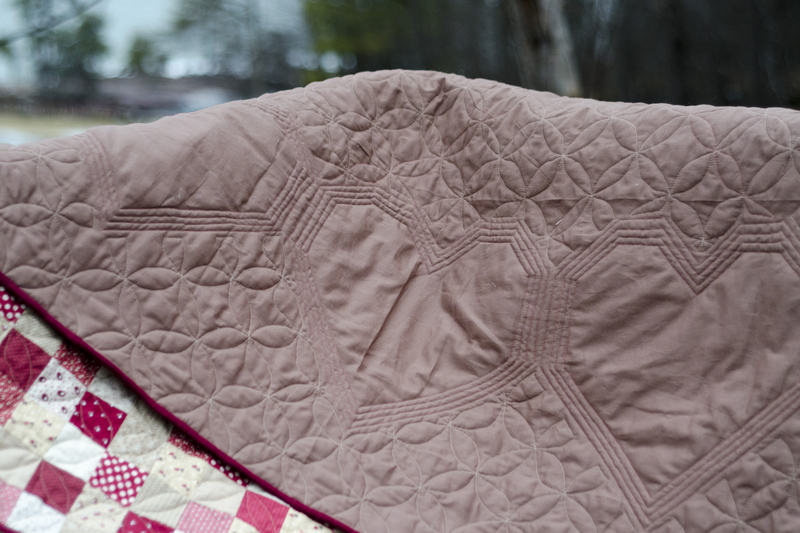 Wheeling Ruffles (Sevillanas)—this quilt wasn’t on the list, but was one of my oldest planned quilts. Altered Steps—my very first-ever quilt blocks (Altar Steps blocks) pieced into a finished quilt. 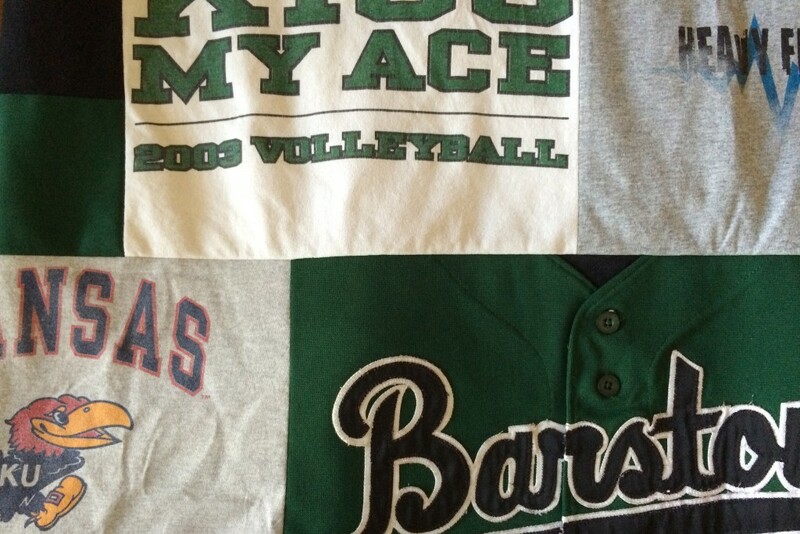 High-school T-shirt quilt—I pieced the entire top together in July, and the backing is in the mail. Status: plan to finish by the end of the year. EPP Crosses (née Farmer’s Wife)—I’ve continued to slowly piece these EPP blocks together, although months go by between times I work on it. Status: long-term project, no estimated finish date. Witches Bubble Brew—I sewed the background together, and added embroidery to the concept. 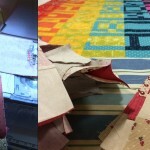 There’s still a ton of qpplique and quilting to do. Status: plan to readdress in 2016. 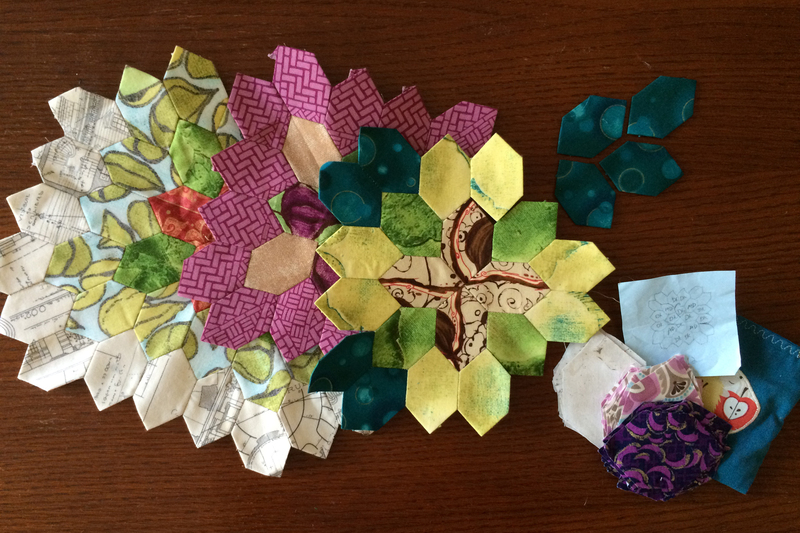 Meta History quilt—I scavenged the scrap bin for 2.5″ squares from older projects, made sure I have squares from all of my recent projects, and modified my plan a bit. Now, the squares have a dedicated home and I’m committed to adding squares of the scraps of each quilt to this box before I call a project “done”. Status: long-term project, no estimated finish date. Miniatures 9-patch—I’ve been using the strip-pieced chunks as leaders and enders for another project, and have 75% of the blocks finished. 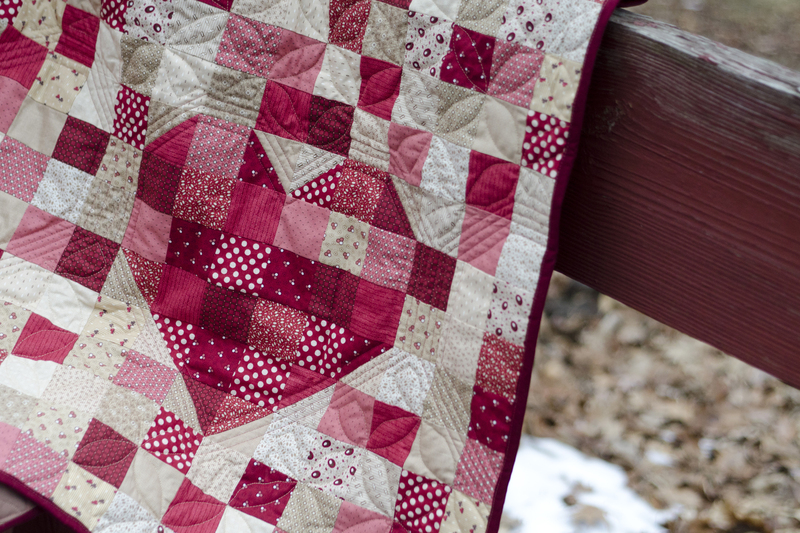 I can’t find the heart section that I pieced 5 years ago, so that will keep me from finishing until I figure out where I put it. Status: blocked, plan to finish by 2/2016 one way or another. Two finishes, one more almost done, and progress on four others is a solid start. I have a couple of new projects I’d like to finish before the year is over, so we’ll see where the others fit in. Perhaps 2016 will be the year of dusting off wearable projects that are as of yet unfinished. I’m working on a bucket list for quilting, more for my sanity to get it down on paper and out of my brain than for public consumption. The #1 item is to finish the myriad projects I’m already working on. Some are whiling away in boxes, some I am actively working on. It’s gotten a little out of control; I have eight! 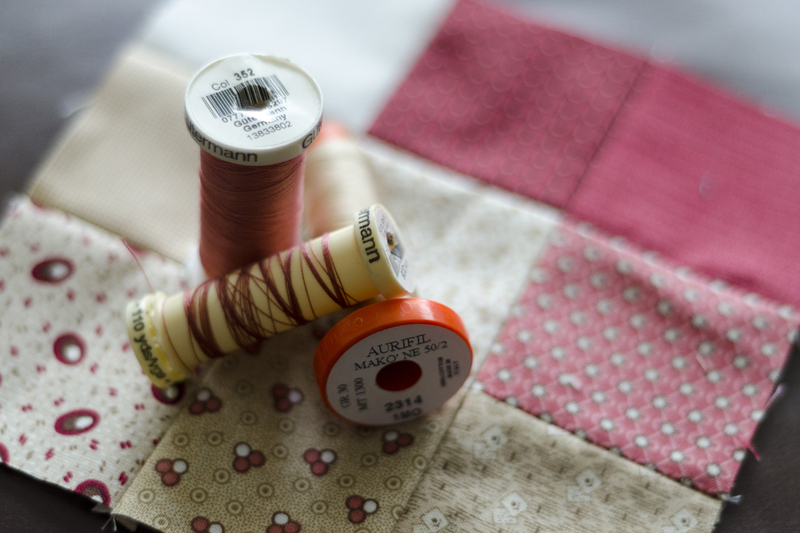 But cutting out and constructing this quilt prompted a thought to ask you about: are you extremely judicious about cutting with as little waste as possible or do you vote for speed and efficiency, figuring you can use the scraps for something else, no matter how small? When I cut out the half-square triangles for the nine-patch, I made sure to cut them to exact measurements rather than doing them so that one half was waste (for that project, at last) like I’ve seen some tutorials show. I’d like to say that I did this because I needed to make sure my FQ pack would stretch as far as possible, but that’s only part of the issue. 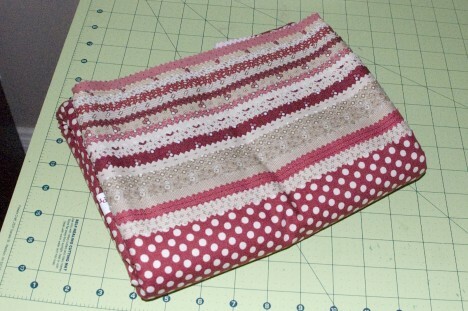 I really am just crazy about trying to fit everything into as little fabric as possible. 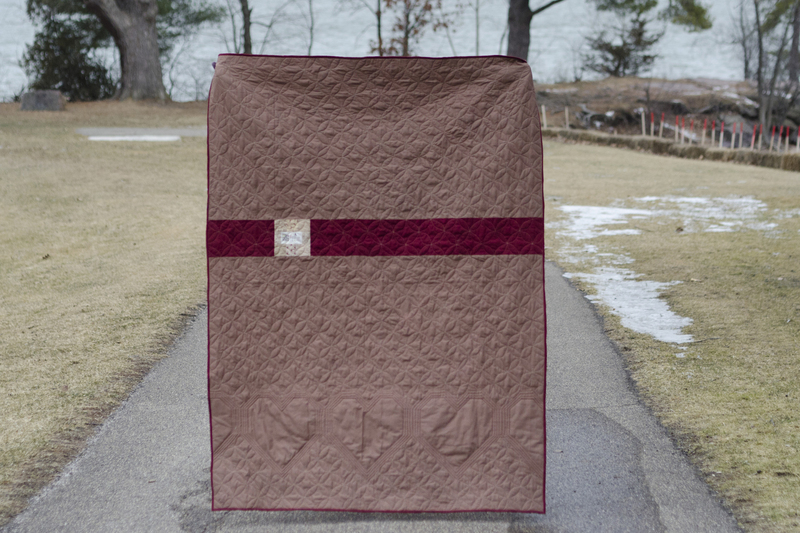 It works great for sartorial and historical sewing, but am I just making things hard on myself in the quilting world? So, wise ones, what approach do you take? Some grey-area “depends on the project” approach? What makes you decide to cut down from a larger block, or cut exact measurements? The following image is what my Miniatures fat quarter pack looks like now that I’m mostly done cutting into it. 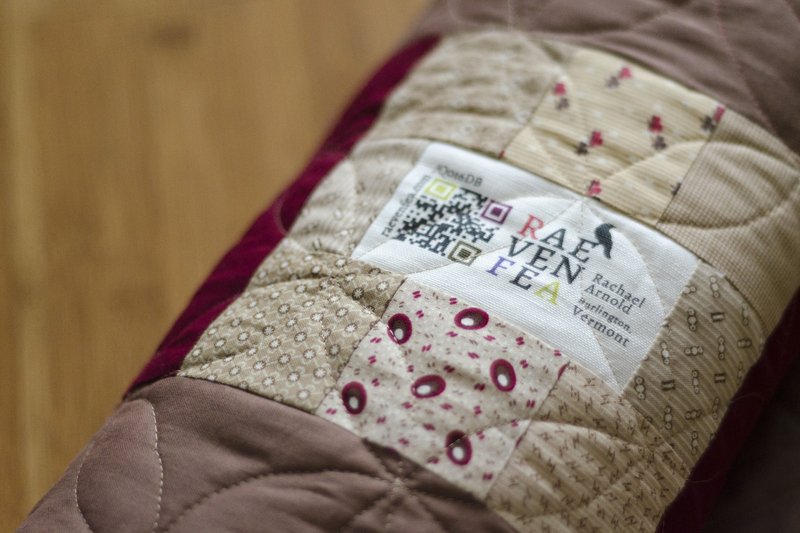 I’m keeping the design a mystery, still, until I get further along with the quilt. 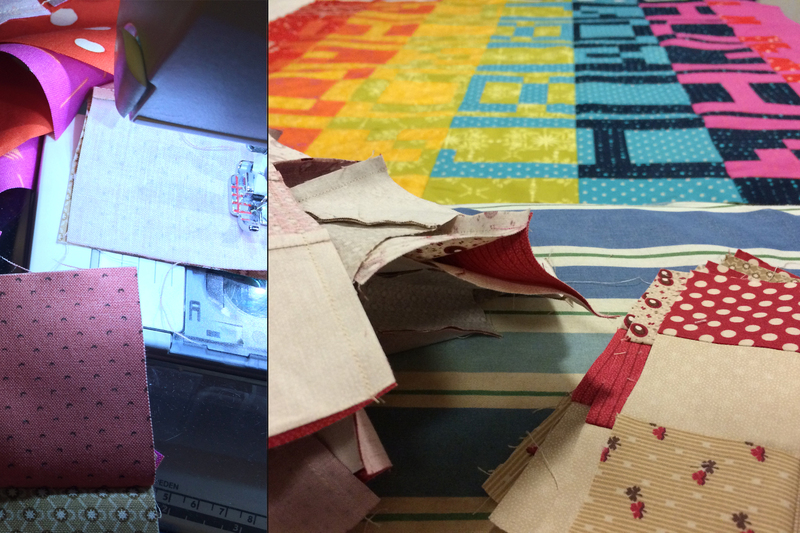 I spent some time working on two different projects this weekend: a quilt and a vest. 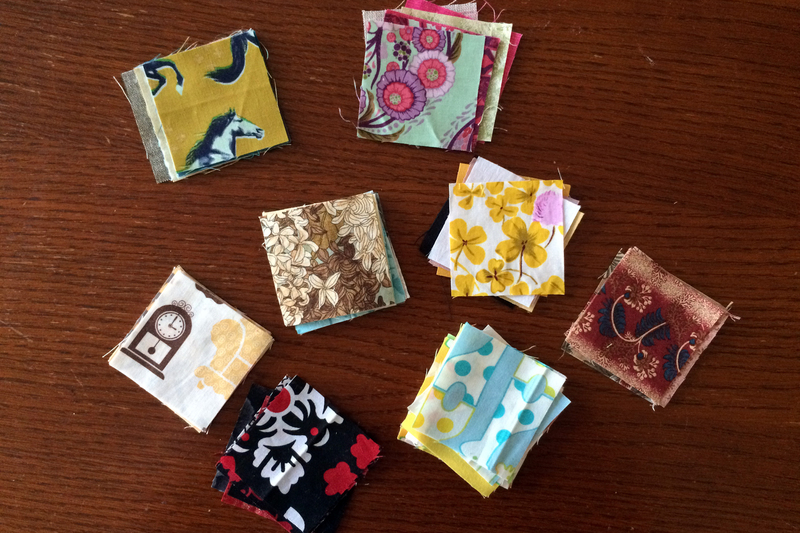 On Friday, I received my order of a 18 fat quarter pack of Miniatures by Julie Hendrickson for Windham Fabrics (ordered from Fat Quarter Shop). I wasn’t planning on starting on the quilt from it for a while—I already have some of the pieces for another cut out, but once I received the fabric, I just couldn’t help but listen to the creative voices in my head yelling about what to do with it, going all oooh, ahh, how romantically-colored. 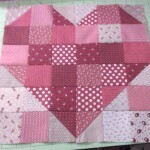 The plan is just a pretty basic strip-pieced nine-patch with a twist or two thrown in. Stay tuned for more on that. 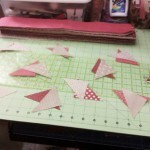 For now, I spent time cutting out the 2 ½” strips needed for the strip piecing. Some day I’ll have a dining room and a dining room table—or better yet a dedicated sewing room—that makes cutting out strips easier on my back. Ouch. Why a simple nine patch? I want something deliriously simple after the bargello. 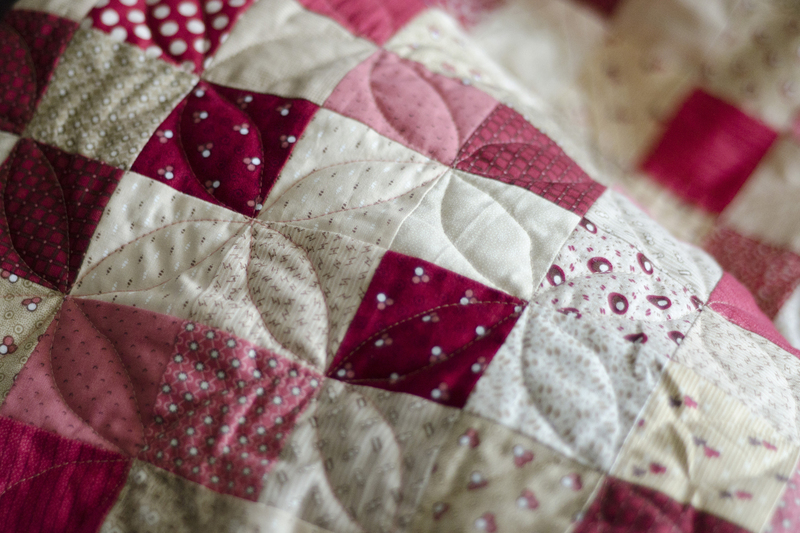 The fabrics make me think “old-fashioned and traditional,” and you don’t get much more traditional than a nine-patch/postage-stamp-esque quilt. 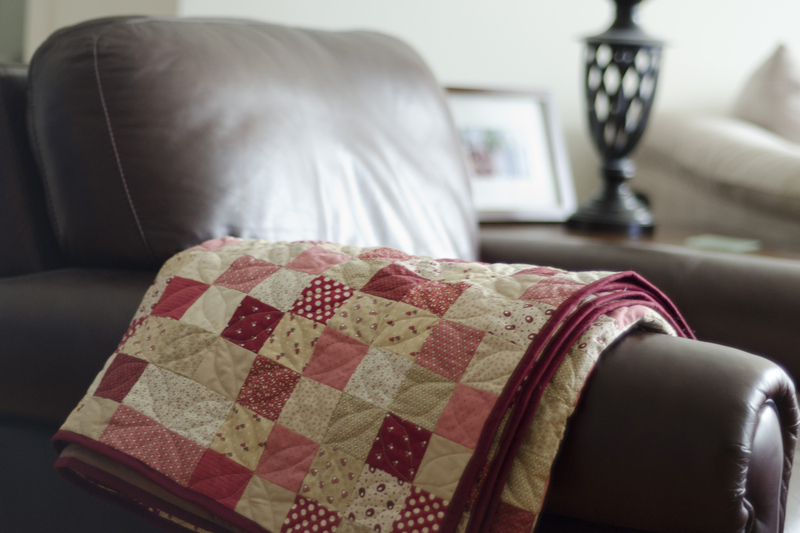 I want really quick blocks so that this can get finished in between my applique class project, the vest, and another quilt I’m already working on. 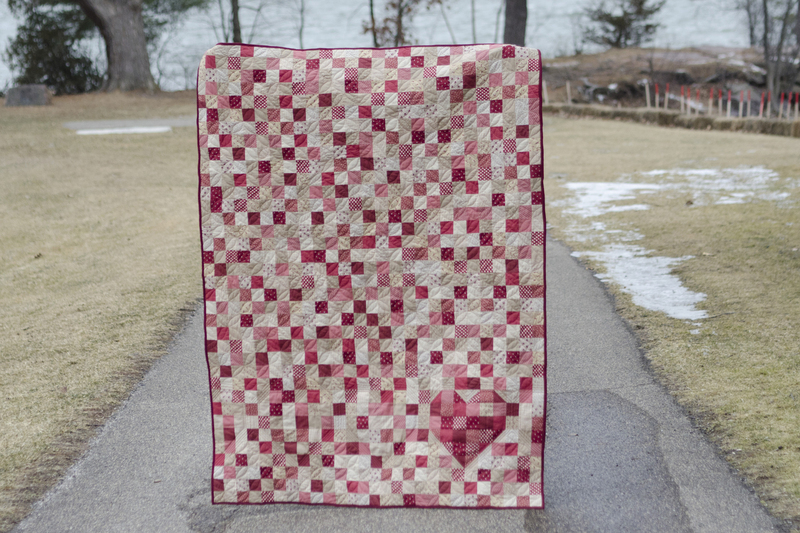 Speaking of the bargello quilt, it is officially in the mail enroute to my cousin, yay. Link now working. That’s what I get for quick posting. Outside the realm of quilting, a friend wanted a copy of a wool vest he owns that has seen many better days. So, I’m working on that. 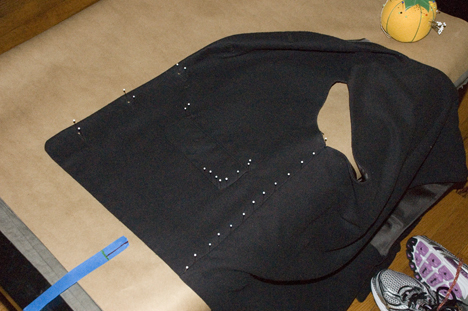 To do so, I had to make a copy of the existing vest without taking it apart. 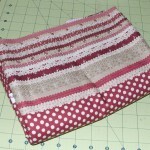 Then, I used the resulting pattern to make a muslin pattern. That’s where it stands. I’ll start constructing the real vest this week.